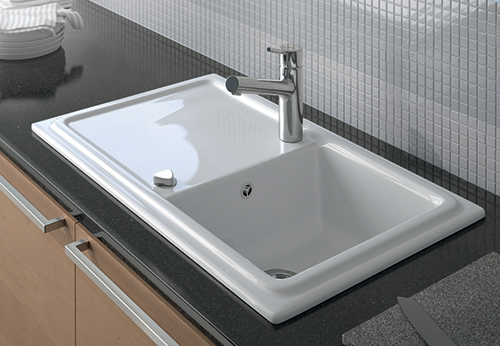 Next week, sink and sanitary ware manufacturer Duravit will debut the Cassia line of kitchen sinks in North America. Cassia is a product of Phoenix Design and comes in three reversible sizes and five colors and it's made from a new ceramic, DuraCeram. Aside form all of that, it has all the features I've been whining that sinks sold int he US never have. 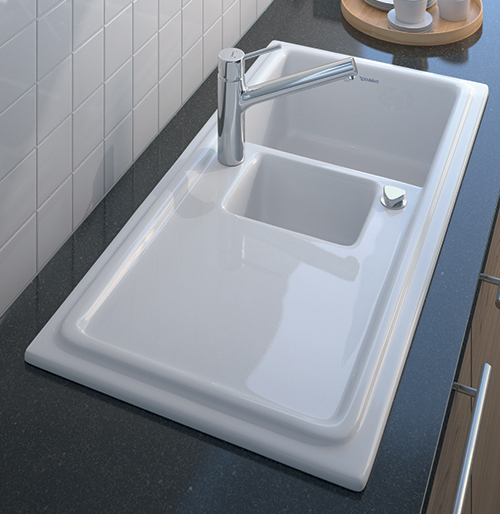 Note the drain switch, the overflow drain and the integrated drainboard. Keep 'em coming Duravit! 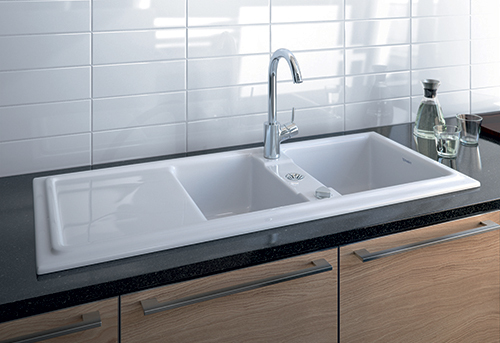 You can find more information on the Cassia line and the rest of Duravit's products on their website. These images will help me through my kitchen designs. Thanks for the help!